Let Decks & Spas reinvent your outdoor living area. Decks & Spas is the turn-key solution to your project, offering in-house contractors that work with you from start to finish. Largest showroom on the Eastside. 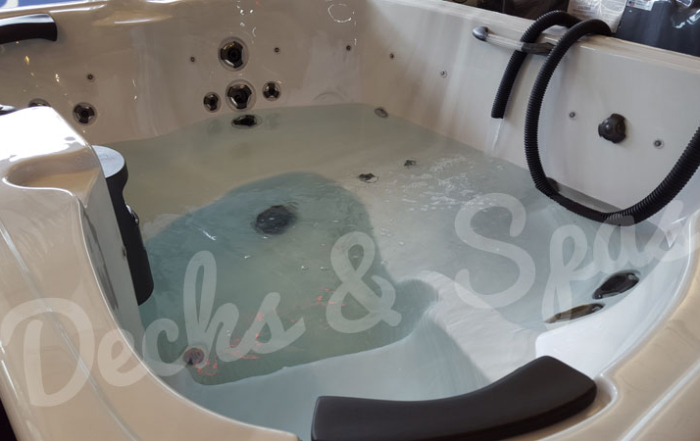 We have over 25 spas on our display, all with different designs and features to choose from. Exclusive dealers of the premium PowerPool Swim Spas. 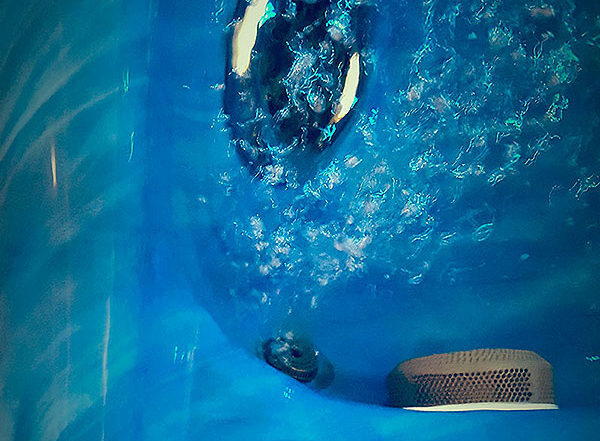 Come in and take a swim! 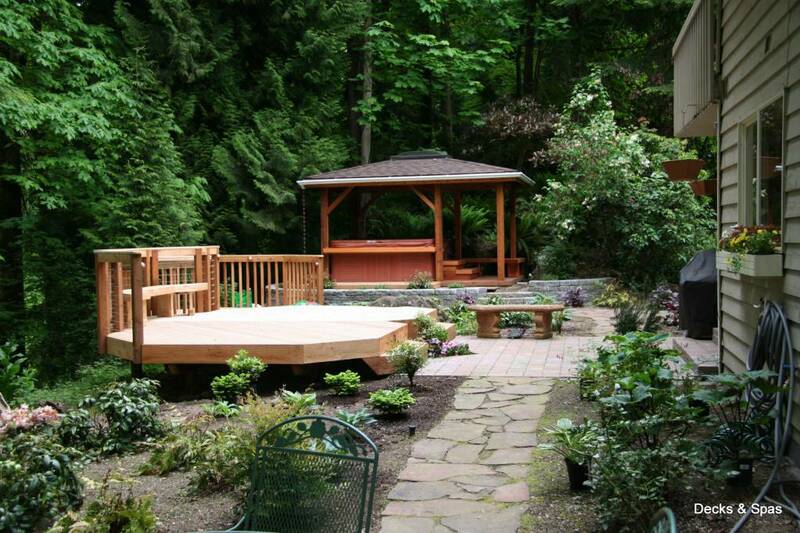 Family owned and operated, Decks & Spas has been doing business in the Seattle area for over 20 years. We specialize in being the turn-key solution for your backyard project. You can throw away that stack of business cards, all our products and services are completely in-house. From scheduling a consultation to submitting a warranty claim for your hot tub years down the road, you need only call Decks & Spas. When buying a hot tub from Decks & Spas, you can rest assured you’re getting the best we can offer. Our prices are always our bottom line so whether you buy at the home-show or from our showroom you can expect the same great deal. We also include all the extras; spa cover, cover lifter, spa steps, chemicals and delivery with your purchase. No more high pressure negotiations. Decks & Spas offers completely in house design and contracting. Most hot tub retailers will give you a business card for a contractor and most contractors will give you a business card for a hot tub retailer. Throw away that stack of business cards and give us a call, we’ll make it easy for you to complete your next backyard project and we’ll save you money too. We offer the largest selection of spa hot tubs on the Eastside. From 3 different manufacturers we are able to offer over 100 different layouts and even more options. Come in to our Kirkland showroom to view over 25 different spas that are always on display including swim spas, plug-n-play and refurbished spas. From $2,995 to $20,000 we are confident you’ll find your dream spa at Decks & Spas. 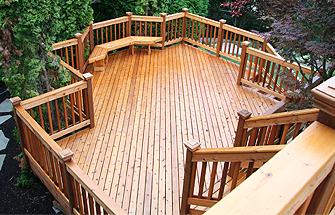 We offer free in-home deck consultations throughout the Greater Seattle area including Snohomish and King counties. You can also visit us at our showroom to see our large inventory of spa hot tubs.